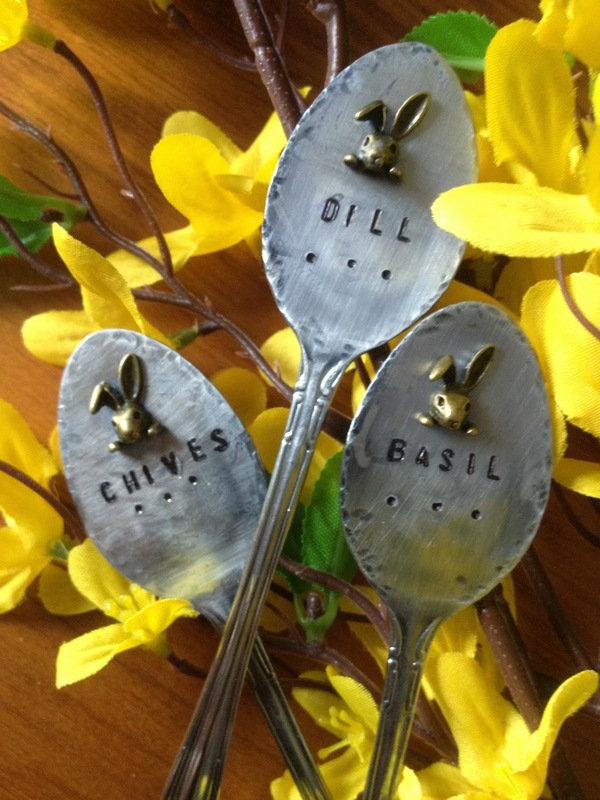 Need something special for the gardener in your life? Unless they've left a not-so subtle hint that they want a new piece of garden equipment, the standard choices can be a little monotonous. 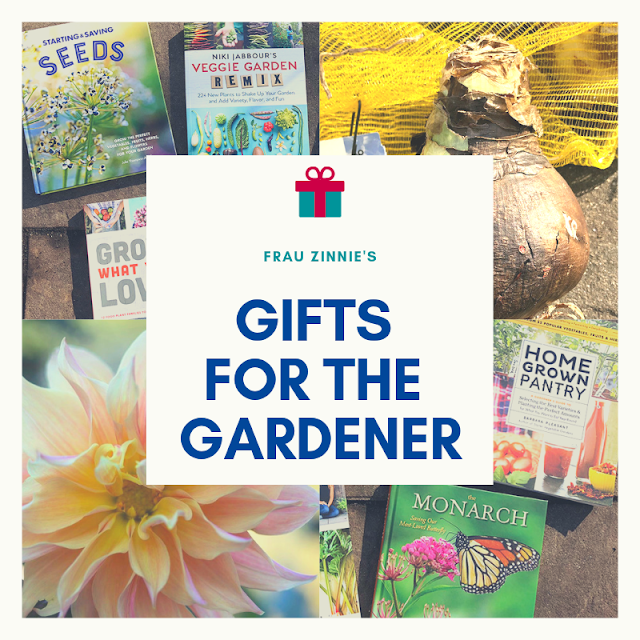 I've compiled a list of unique gifts for every gardener on your list - women, men ... even children. Used with permission from Georgianna Lane. If you haven't discovered the magical world of Georgianna Lane photography yet, this is the perfect excuse to visit. 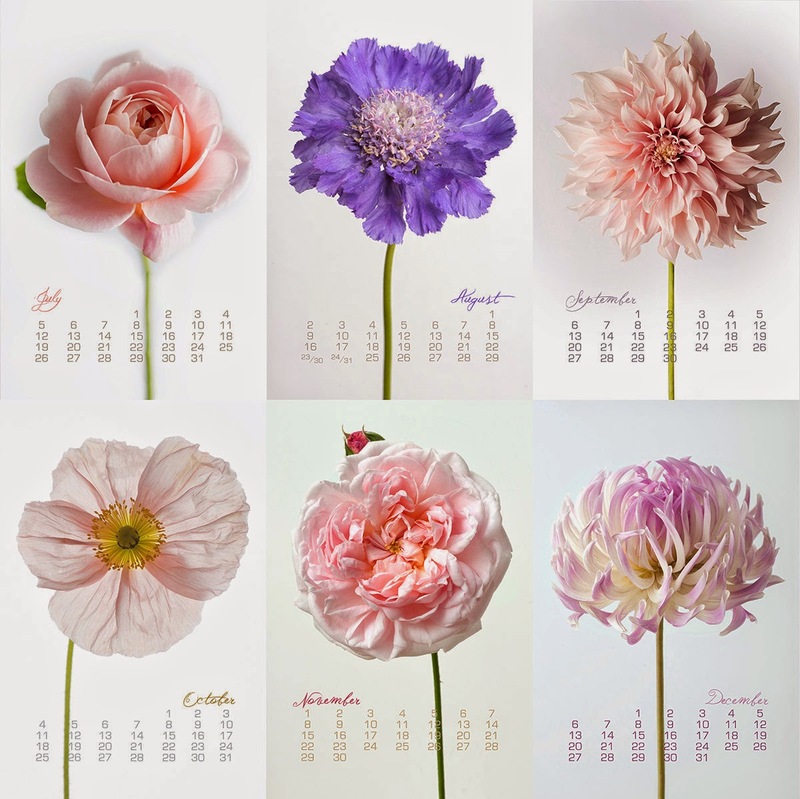 These 12 individual calendar pages (available in 4x6 or 5x7 sizes) can be used on a memo board or easel for display. The pages are also suitable for framing. Used with permission from One Lane Road. Need something for the male gardener in your life? How about this super soft cotton t-shirt that is screen-printed by hand from One Lane Road. 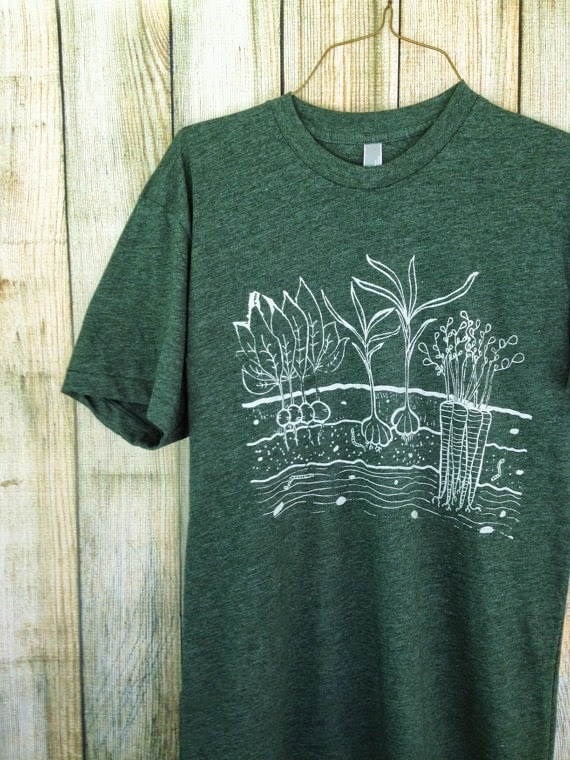 Available in multiple sizes, this t-shirt, along with other garden-inspired designs in the shop, are original illustrations. Holiday delivery is estimated for all orders placed by Dec. 7. Another option for the man in your life are the many selections offered from Fish in the Garden. Friendly representatives from this Maine company are always present at the garden shows I attend in late winter. They also bring their schools of fish to accent the display gardens at the shows. The koi look really nice around water features in gardens, too. Used with permission from The Forest Sleeps. Used with permission from Metal Garden Art. 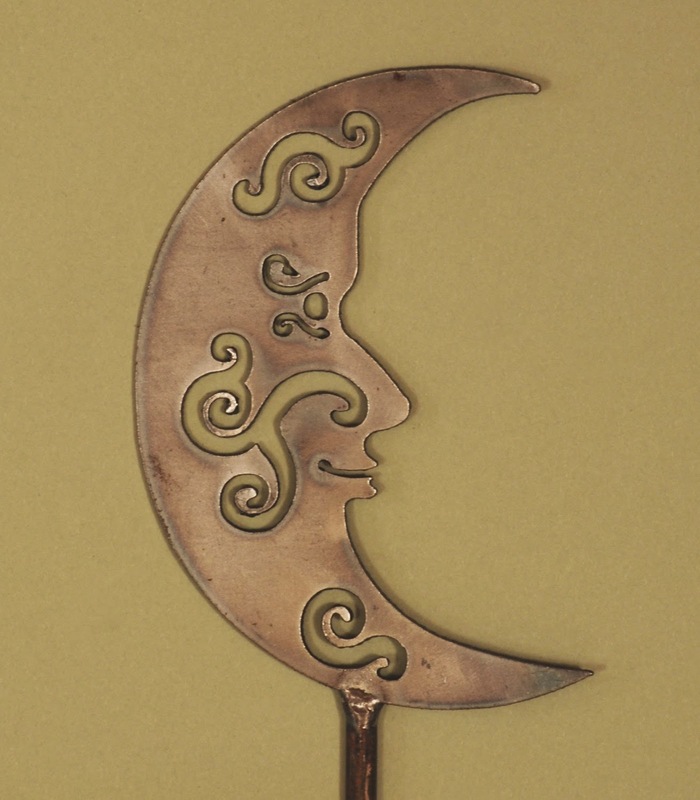 This original design is one of the many decorative garden stakes offered at Metal Garden Art. The stake will weather naturally to a rust color but can be coated in clear lacquer to protect it. Used with permission from Precious Meshes. These adorable earrings are also perfect for any bird lovers on your holiday shopping list. The nests are handmade with crochet wire that are woven together, just as a bird will gather little bits of nature to make its nest. 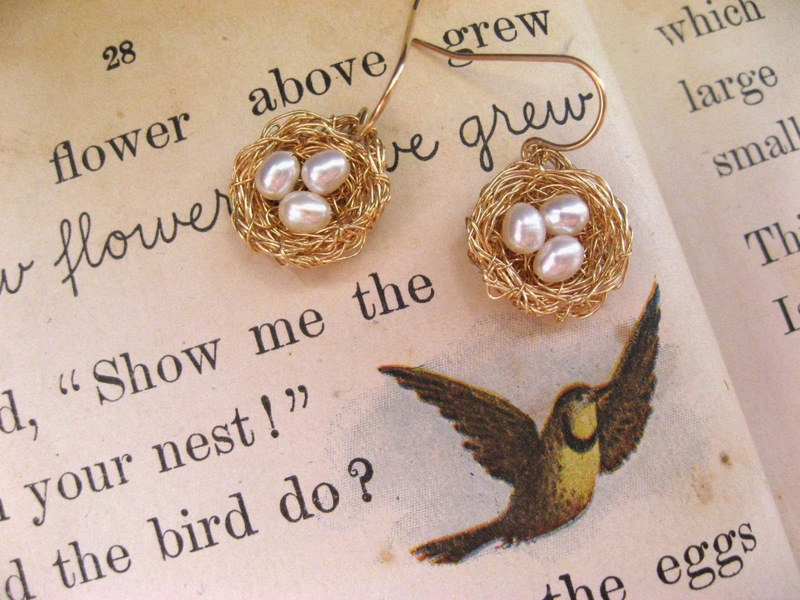 The bird nest jewelry is also available as necklaces and rings as well. (I purchased one of her necklaces in 2008 and I still receive many compliments every time I wear it.) Emily of Precious Meshes is also offering Frau Zinnie followers a 10 percent discount: use code precious10 to activate. Order by Dec. 10 to guarantee Christmas delivery. Used with permission from Juicy Crafts. 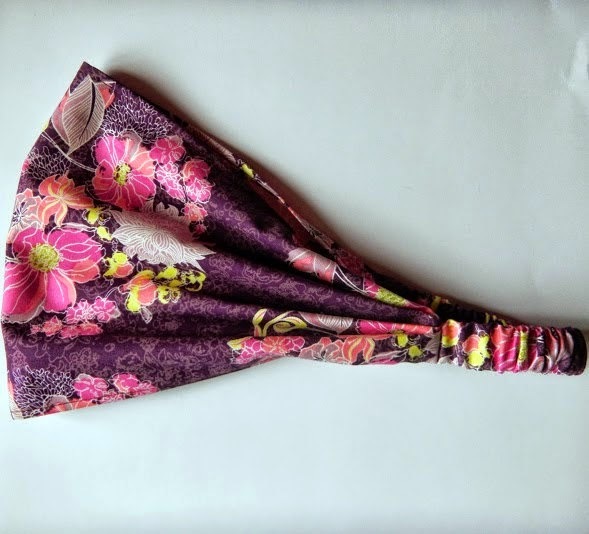 These bandanas are handmade and perfect for keeping hair out of your face when gardening. They are machine washable and come in a variety of different fabrics to choose from. If you buy three or more headbands, use discount code JUICY15off to receive 15 percent off your order. I own several and they come in handy not only when I'm gardening, but when I'm at work, too. Used with permission from Just Hatched. Show a child how great gardening can be by introducing them to nature with this puzzle from Just Hatched. 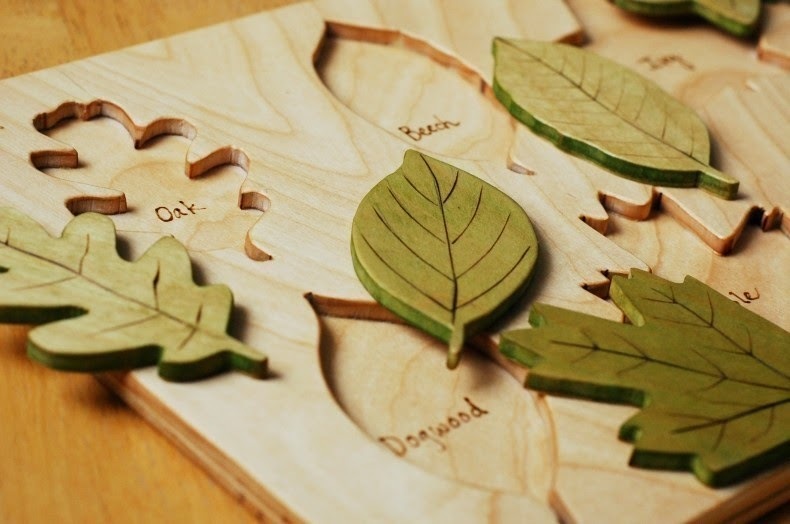 Handmade from birch and sanded smooth by hand, these puzzles are made with nontoxic paint and a natural beeswax polish. 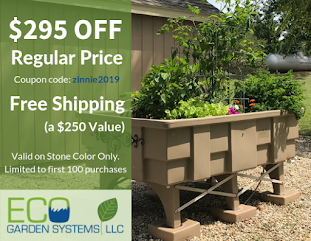 If you have a gardener who always wants a jump on the growing season, this greenhouse from Territorial Seed may be just what he or she is looking for. It measures 6 feet 3 inches deep, 4 feet 1 inch wide and 6 feet 3 inches high. 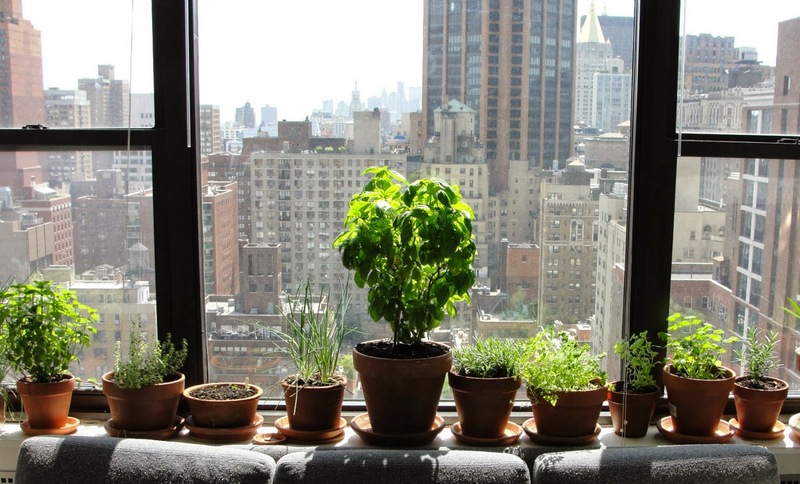 Windowsill Herb Collection, used with permission from Smart Seeds. Click to enlarge. 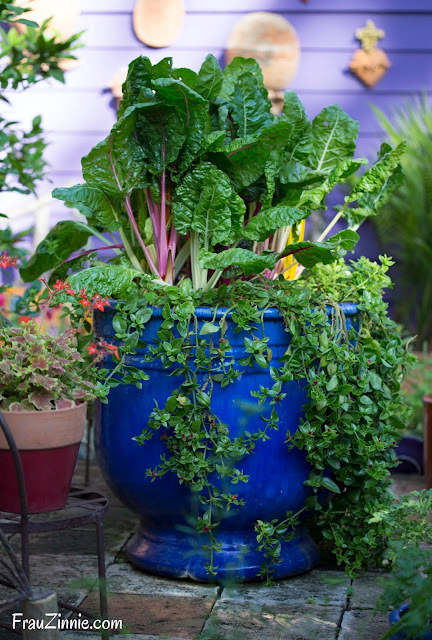 If you are looking for unusual seeds to grow in 2015, check out Smart Seeds. Using resources on six continents, you will find options not available in commercial catalogs. According to shop owner Mia, the three most popular items purchased in the shop include the Glass Gem Corn, the Rainbow Carrot Mix and the Windowsill Herb Collection. Passionflower seeds and the Butterfly Garden Collection are also popular choices. I'm definitely going to try the non-GMO Blauwschokkers Purple Podded Peas next year! Wonderful collection and gift guide! Thank you so much, Jen, for your kind words and for including my calendar. Happy Holidays! Beautiful Gift Guide and thank you so much for including our little toy shop.